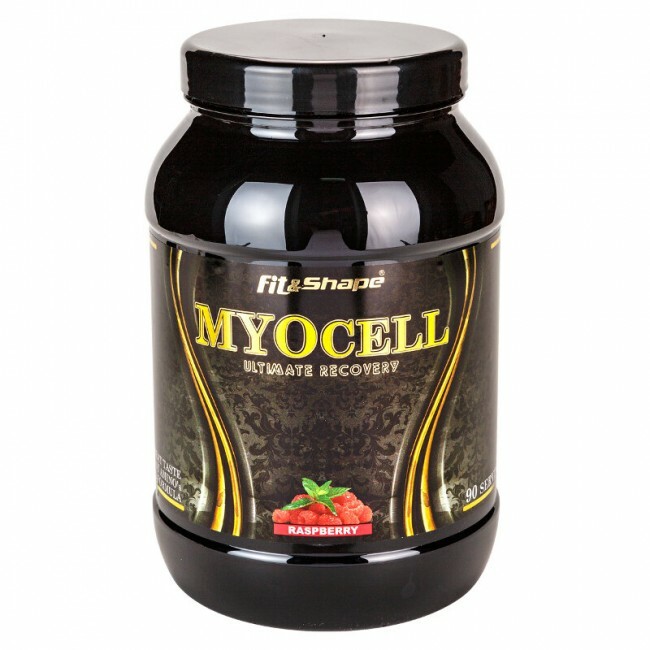 MyoCell® is an exceptional combination of BCAA, glutamine, citrulline, beef and milk hydrolysate, vitamin C, zinc, magnesium, vitamin B6 & B12. MyoCell® is a great combination of amino acids that provide quick and efficient recovery after exercise. The combination of BCAA, glutamine, citrulline and protein hydrolysates increases muscle growth even on non-workout days. The combination of zinc and magnesium distributes the blood flow to muscles properly, thus allowing you to recover faster. 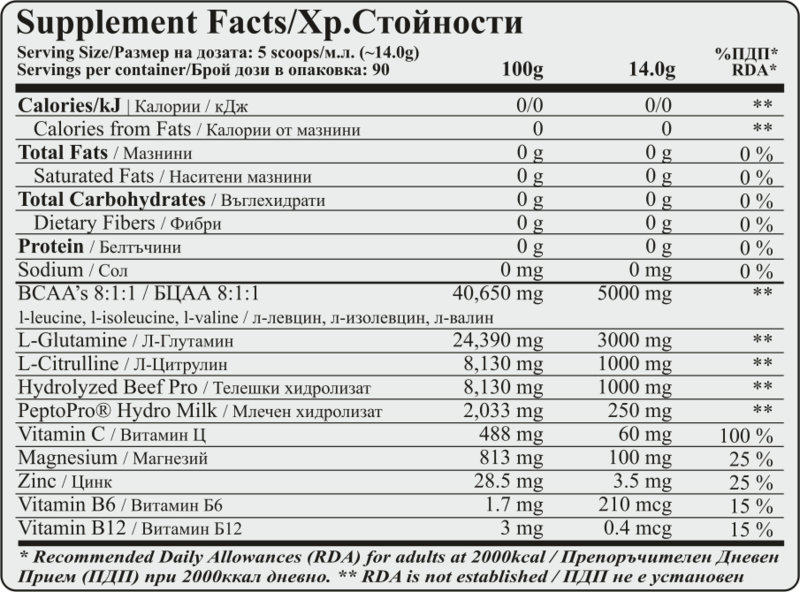 Vitamin B6 and B12 strengthen internal protein synthesis for greater muscle mass and strength. Tone, energy, endurance and greater muscle mass. These are some of the benefits you get from MyoCell®. DIRECTIONS OF USE: Helps to get more energy when taken before a workout. Speeds up recovery after exercise and promotes muscle growth. It could be taken at any time of the day. For best results, drink one serving (14 g) per serving before and after exercise.